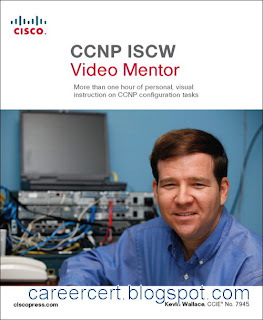 CCNP Video Mentor is a unique video product that provides you with more than one hour of personal visual instruction from senior instructor Kevin Wallace. In the four lab videos, Kevin walks you through intermediate-level Cisco router and switch configuration topics that cover the most important objectives on the CCNP ISCW exam 642-825. Designed to develop and enhance hands-on skills, each video (ranging in length from 16-27 minutes) walks you through essential configuration tasks, including configuring frame mode MPLS, configuring a site-to-site VPN, securing Cisco routers, and configuring an IOS Firewall. 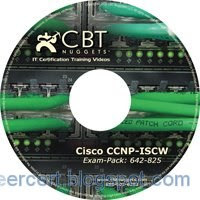 The Cisco 642-825 ISCW exam covers topics on Cisco’s network model as it pertains to the WAN, teleworker configuration and access, frame mode MPLS, site-to-site IPSEC VPN, Cisco EZVPN, strategies used to mitigate network attacks, Cisco device hardening and IOS firewall features. ISCW cbt links has been reloaded.